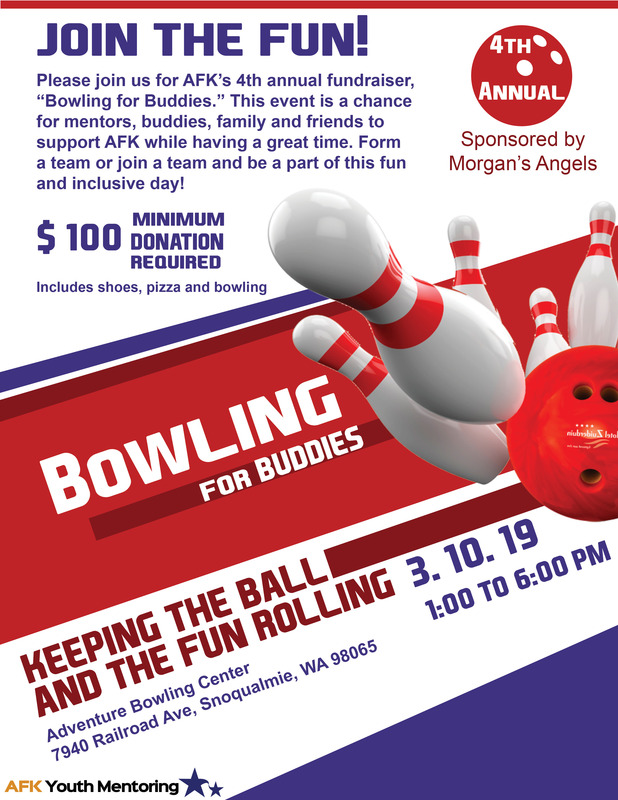 Join the Fun and mark your calendars for our 4th Annual Bowling for Buddies on Sunday, March 10th from 1:00 to 6:00 PM at Adventure Bowling Center, 7940 Railroad Ave, in Snoqualmie. On Monday December 3rd AFK was invited as a guest in IHeart radio. Marni Kurtz, Nick Riley and Fran Kennedy Ellis talked about how AFK is impacting lives one mentorship at a time. Join us on Saturday, November 3rd from 4:00 to 8:00 PM at Chipotle in Sammamish and Do Good With Burritos! 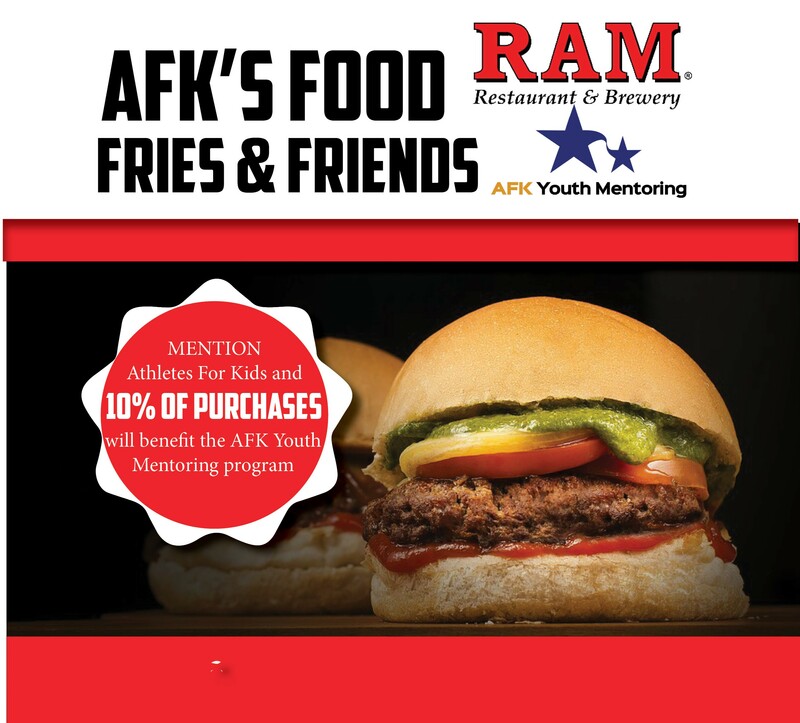 Mention Athletes For Kids and 33% of proceeds will benefit our program. Dine for a cause! 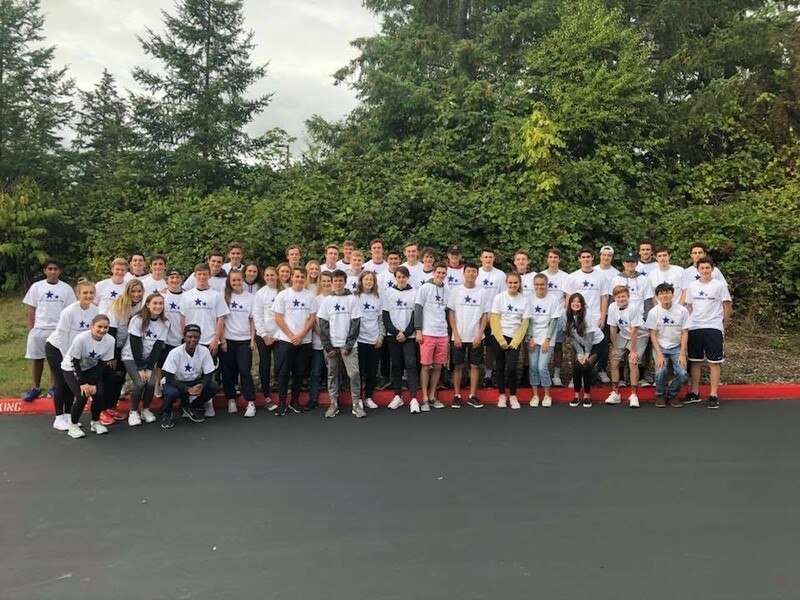 On Tuesday, September 18th join us at The Ram in Issaquah. 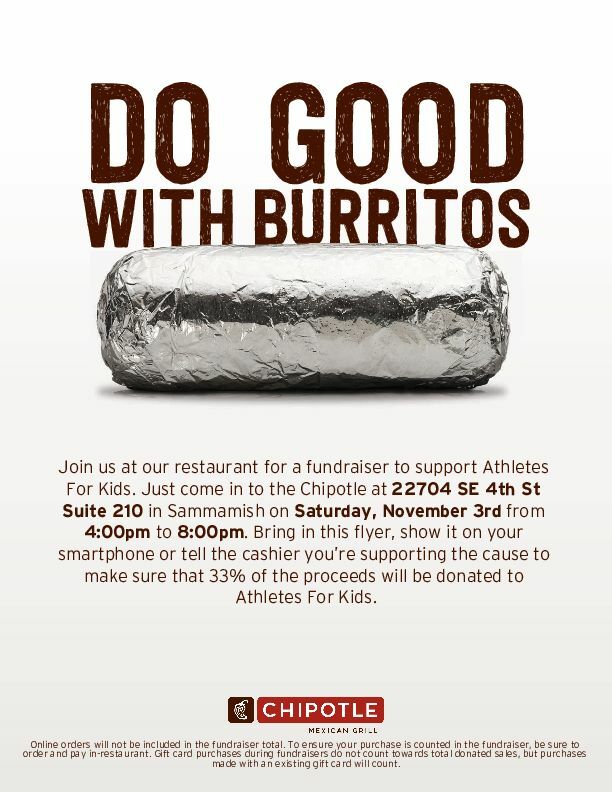 Be sure to mention Athletes For Kids and 10% of all purchases will benefit the program. 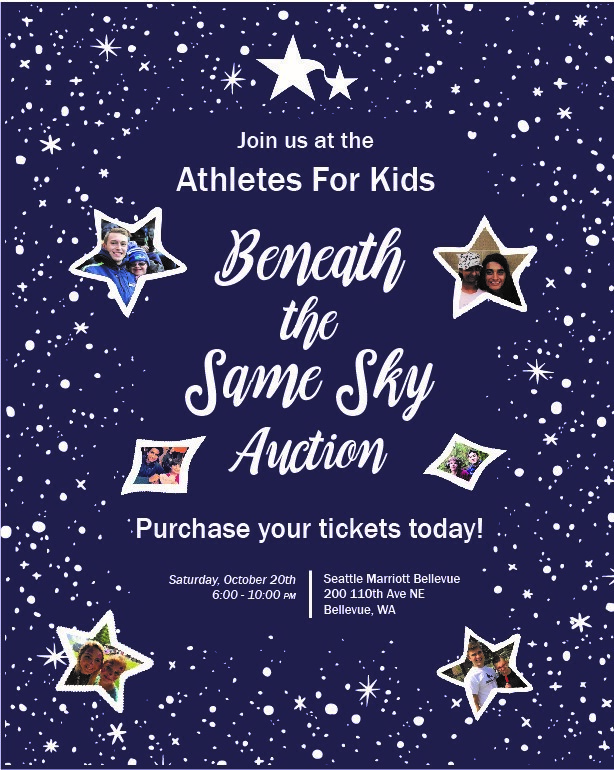 We invite you to be inspired by the impact of inclusion and acceptance at our Beneath The Same Sky Auction benefiting the AFK Youth Mentoring program. There will be a silent auction, dinner and so much more!